It’s a gorgeous day, and what better way to spend it than visiting your local cycling trail? Naturally, you want to get up and go! 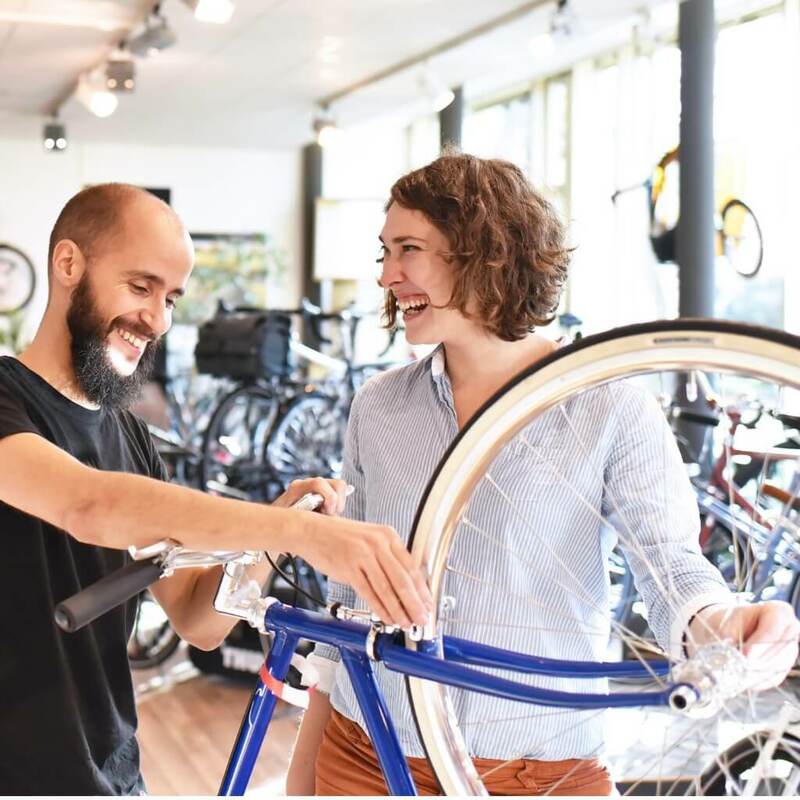 Before you can enjoy the sights, smells, and sounds of the outdoors while on your bicycle, you need to ensure you and your cycle are adequately prepared. 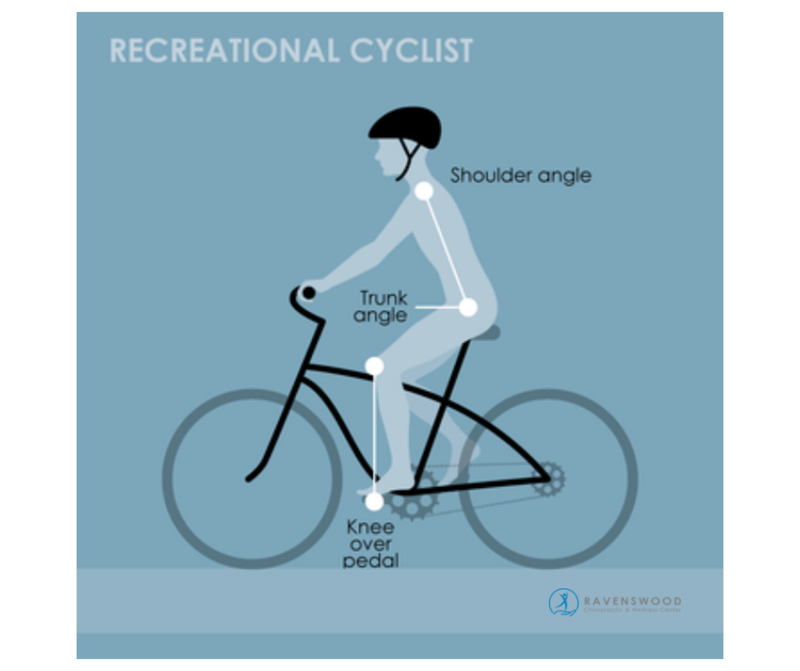 To avoid injury and promote proper biomechanics, you’ll want to prepare your bicycle and follow certain safety precautions. Let’s take a look at everything you need to do before and after your ride to get the most out of a day on your cycle. Let’s make sure that your bicycle is ready to hit the trail. 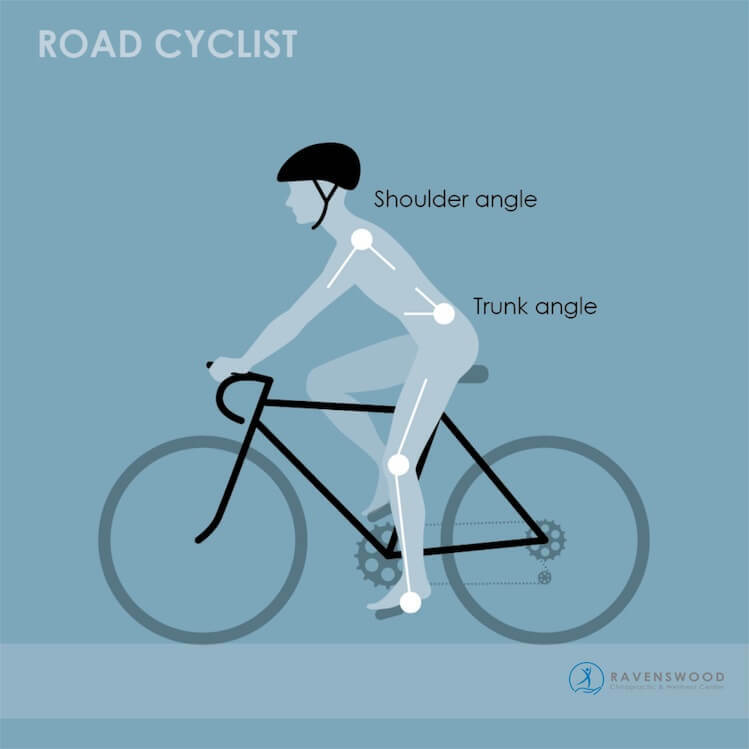 More importantly, preparing your bike ahead of time to meet your specific height, weight, and postural requirements can promote good posture and help to avoid injury. To find your proper seat height, adjust your pedals in the 6 o’clock and 12 o’clock position. Sit on the bike and look at your bottom leg. You should be able to extend your bottom leg (12 o’clock position) fully. If your bottom leg is bent, you should increase the height of your seat. At the 6 o’clock position, the knee should be flexed to 30-35 degrees. Place your foot on the pedal. Your foot should be positioned so that the pedal is supporting the widest part of the ball of your foot. Do not pedal using your heel or your toes. Your bicycle will come equipped with back and front reflectors, but it’s also a good idea for you to wear reflectors or a reflecting vest for safety. Reflectors signal to passing motorists your presence, which is essential during poor lighting conditions such as early morning or nighttime ride. To avoid a tire blowout and to ensure your bike tires properly grip the road, it’s essential that you check the air pressure in your tires before every ride. The PSI (pounds per square inch) number can be found on your bicycle tire. Once connected to an air compressor or PSI tool, you can match the name and increase or decrease the amount of air accordingly. 1)Headlights: Bright enough for a cyclist to see what they are riding over. 2)Defensive Lights: Cannot light up the road: they are meant to make you more visible to other motorists. You will need to have both types of lighting when riding your bicycle. Look for lights that are at least 10 watts (150 lumens) of LED output so that you can see what you are riding over. Any light will do to help motorists see you. Flashing lights on the back of your helmet – lights that go on your wheels, lights that can be worn around your wrist or that snap on to your backpack. I have a red light clipped under my seat, lights on my wrists and in my spokes so that I can be seen from the sides and behind as well as from the front. A standard bicycle horn can alert pedestrians such as joggers of your presence. A bell also works and might be a more budget-friendly option. 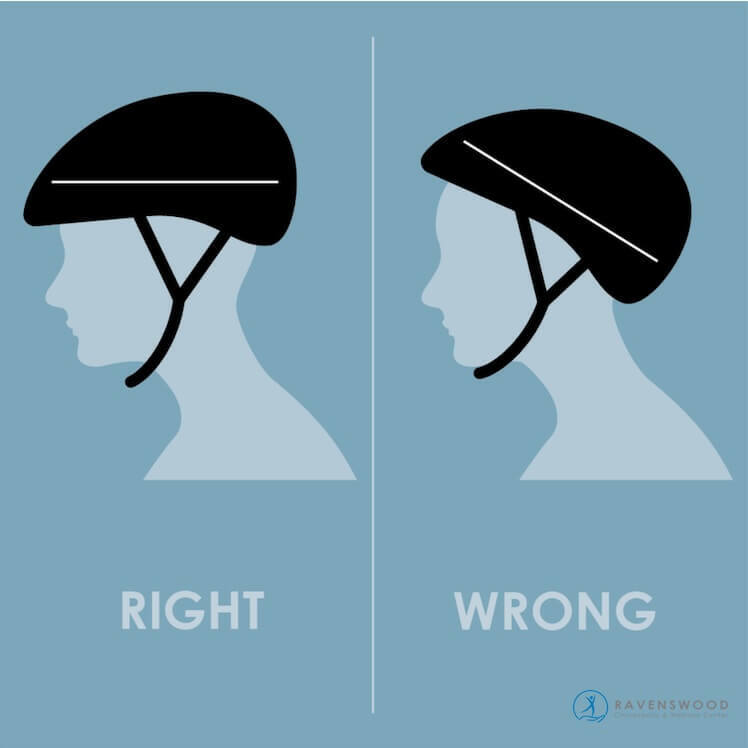 Looking in a mirror, place the cycling helmet on your head. The front of the helmet needs to be covering the forehead. From here, you can adjust the straps. These need to fit tightly yet comfortably. You shouldn’t be able to fit your finger under the chin strap. At the same time, you don’t want to cut off breathing or circulation. Try wiggling the helmet all around your head. It shouldn’t be able to move without a lot of effort, but it should feel comfortable. Mirrors: Help you be more aware of your surroundings. Mouthguards: Protect your teeth and dental health in case of an unexpected fall. Body Armor: Help to protect your upper body in case of an unexpected fall. Road-Gripping Tires: Reduce the possibility of the bike sliding or skidding. Your bicycle is ready to hit the road. Before you start on your journey, you’ll need to keep the following riding safety measure in mind. Be mindful of your pant legs and shoelaces. Roll up your pants legs if they are too long and tuck in your shoelaces. Never wear headphones while you ride a bike. As mentioned above, we recommend wearing reflectors or a reflecting vest, even during daytime rides. Always assume that you are invisible to the motorist or other cyclists. For this reason, you should use bike lanes when available. If they are not available, choose slow, wide streets or back streets. Signal every turn you make and do not hug curbs. Dooring is a common safety hazard, especially in cities like Chicago, where cycling is a popular method of getting to work. Always use front and back lights even during daytime rides to signal your presence to people in parked cars. Stay three feet to the left of parked cars whenever possible. Look ahead at all times for the brake lights and car exhaust. If you believe there is a probable chance of getting doored, look behind you to see traffic conditions. But if it is busy, avoid swerving, and brake gently instead. Wheels: Make sure your wheels are securely attached, properly adjusted, and spin freely with all spokes in place. All reflectors on the wheels should be clean and intact. Tires should not have excessive wear, cuts in the tread, or cracks on the sidewalls. Check your tire pressure, which is printed on the sidewall of the tire. Brakes: Check to see how worn your caliper brake pads are and if they need to be replaced. Also, are they properly adjusted to the tire? Take a look at the brake cables and replace any rusted or frayed cables. Seat and Handlebars: The seat and handlebars should be adjusted to a comfortable position with all nuts and bolts tightened. Check to ensure that the hand grips are secure. Bicycle Chain: Your chain should be well oiled but be cautious not to use too much oil as it will not only be messy but will attract dust and dirt, which may shorten the life of the chain. Your chain should be free of rust. Bicycle Pedals: Check to see that the pedals are securely fastened, and pedal reflectors are clean and visible. It’s important to stay up to date with the latest bicycle laws, requirements, and safety measures. You can educate yourself by visiting the City of Chicago website on bicycling.